I love handwritten notes. Whether giving or receiving, there's something personal, thoughtful, and meaningful with taking the time to write your thoughts and sentiments on paper, especially in this day and age. 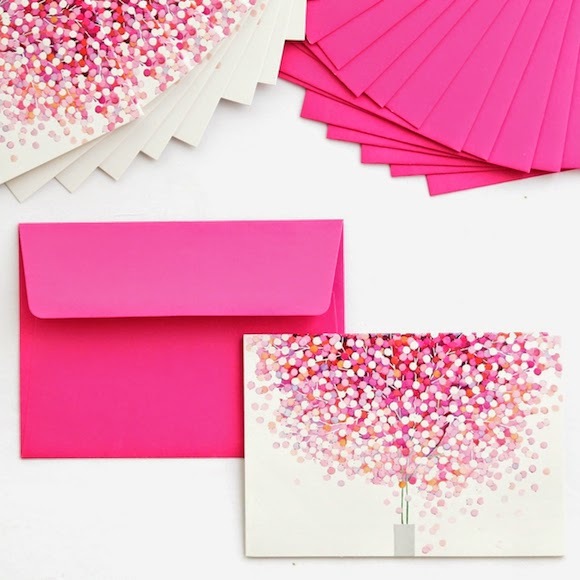 With these pretty pink notecards from Peter Pauper Press at Chapters Indigo, it makes the process all the more special.